Looking for the most ethical places to go on holiday in 2019? Look no further, we've scoured the world to find you the best places to visit in 2019 rated for their low environmental impact, positive social change and conservation efforts. Each holiday offers luxury, life-changing experiences and excellent value for money. The Experience: Your stay at Borana Lodge promises to be one of the most memorable experiences you’ll ever have. Wake up to stunning sunrise views across the foothills of Mount Kenya through the panoramic windows before heading out on an early morning safari when you will have the best chance of spotting the Big Five. If sitting in a jeep isn’t your cup of tea you can get out on horseback, bike or on foot for a truly magical safari experience. Borana Lodge also offers their guests to actively participate in conservation efforts meaning you can have uniquely rewarding experiences helping with anti-poaching patrols, tracking black and white Rhino on foot or monitoring animal activity. Why’s it ethical? Hailed as Africa’s most successful rhino sanctuary by Rhino International, Borana Lodge take wildlife conservation seriously. But it’s not just their conservation efforts that have awarded them a spot on our Top Ten, they also provide healthcare and support education within the local community, use renewable energy and eco-friendly products and provide additional benefits to all staff. The Experience: Less than 10 minutes away from the world famous must see UNESCO site of Angkor Wat this not for profit boutique hotel offers comfortable rooms, swimming pool and plenty of cultural and wellness activities to get involved in. Learn Yoga by the pool, take part in a guided meditation and participate in a Cambodian dance class, experience the sights and wonders of Siem Reap and sample some of the farm to table fresh juices and meals available in the restaurant. Why’s it ethical? All profits from the hotel are reinvested into the GreenLeaf Foundation, providing the community with education and access to clean water - guests can also get involved with humanitarian work by raising funds and helping to dig wells. Green Leaf Hotel also offer staff additional benefits, bonuses and incentives for implementing environmentally friendly practices as well as sourcing all produce locally. The Experience: If you can’t decide between the beach and the jungle Hamanasi Adventure and Dive Resort offers it all. 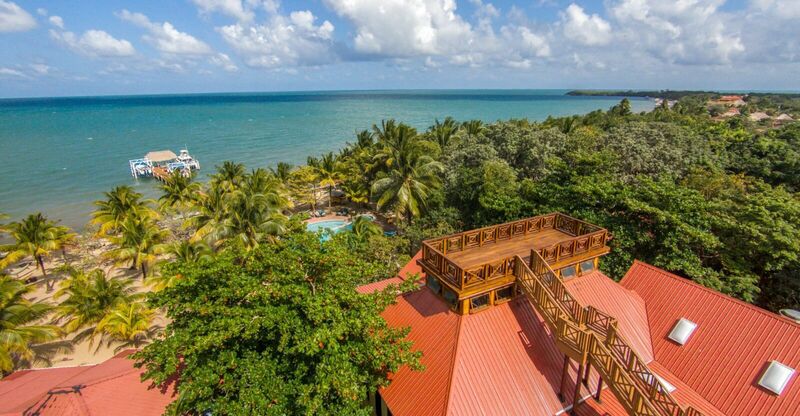 Stay in a treehouse amongst the Littoral Forest and wake up to exotic birdsong or get lulled to sleep by soft rolling waves in the Beach Front Rooms. Spend your days practicing your Stand Up Paddleboard skills, explore the underwater world of tropical fish snorkelling or diving or head into the jungle to discover rare and endangered animals in their natural habitat. Hamanasi also give you a chance to experience Mayan and Garifuna cultures, customs and traditions. Why’s it ethical? Hamanasi Adventure and Dive Resort tick all the ethical criteria boxes with eco-friendly, sustainable practices throughout the running of the resort, actively work to preserve and conserve natural ecosystems, works closely with the local community to support education, healthcare and animal care and promotes local businesses and craftspeople. The Experience: Wake up to the calls of gibbons before heading out into Thailand’s oldest and most diverse ecosystems, the Khao Sok National Park. Explore the incredible variety of plants and wildlife, go tubing down the river and melt away any tension with a traditional Thai massage before drifting off to sleep to the sound of water gently flowing downstream in these eco-friendly riverside jungle cabin cottages. Why’s it ethical? The owners of Khao Sok Riverside Cottages work closely with the local community to ensure preservation of the culture and traditions, conservation and environmental education and sustainable sources of income. Cottages have been designed to be as eco-friendly as possible with open room layouts to negate the need for air-conditioning and responsible waste management practices. The Experience: Wake up to the sound of birds and breath-taking views of the Nkhotakota Reserve on the banks of the Bua River, head out on a unique guided walking safari and rest your weary feet by the pool or enjoy a tranquil afternoon tea on your balcony overlooking the river. During your stay you also have the opportunity to spend some time volunteering to renovate schools in the area. Tongole Wilderness Lodge offers the opportunity to see a different side of African safari experiences, away from the usual tourist hotspots. Why’s it ethical? The lodge has minimal impact on the environment with all electricity produced by solar power, natural construction materials and vehicle-less safaris to ensure animals do not become stressed or disturbed. In addition Tongole Wilderness Lodge also work with the local community to provide access to education and sustainable employment opportunities with additional staff benefits. The Experience: Stay in your own private beach lodge amongst the coconut trees just steps away from the sea within the Numi National Park. 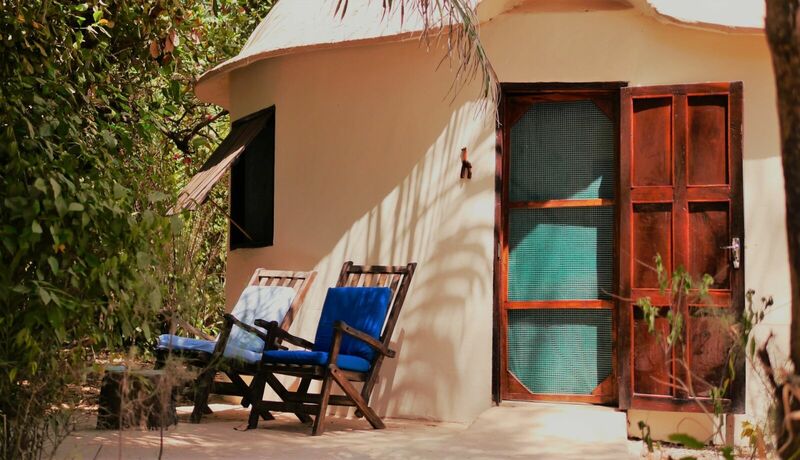 Watch dolphins swim past and chill out with a good book on the beach and sit around the fire listening to traditional Gambian drum beats in the evenings. During your stay you can also help protect the natural area or improve the lives of local residents with volunteering opportunities in exchange for discounted room rates. Why’s it ethical? Jinack Lodge offer eco-friendly accommodation with renewable energies, responsible waste and recycled construction materials as well as actively working on conservation projects to protect the natural area. As a community owned business everyone in the community benefits from the lodge, with direct reinvestment into education, health care and local projects. 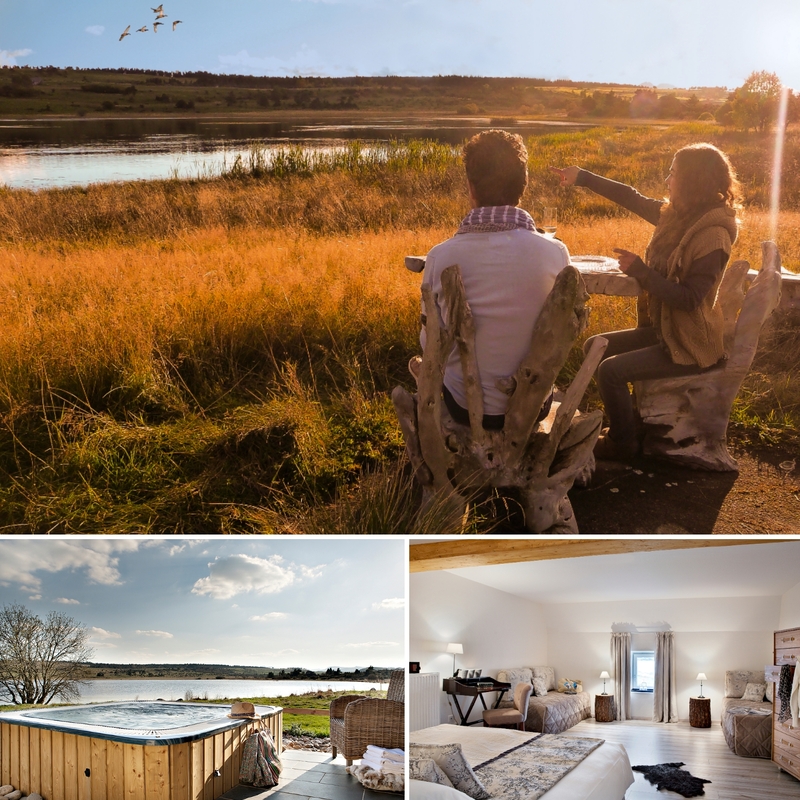 The Experience: Based in a unique area of central France surrounded by a lake, forest and volcano this luxury safari inspired boutique hotel offers the perfect getaway. Go dog-sledding, explore the area on horseback or relax in the on-site spa and lakeside hot tub before having a romantic meal made of fresh, seasonal and locally sourced world class ingredients. 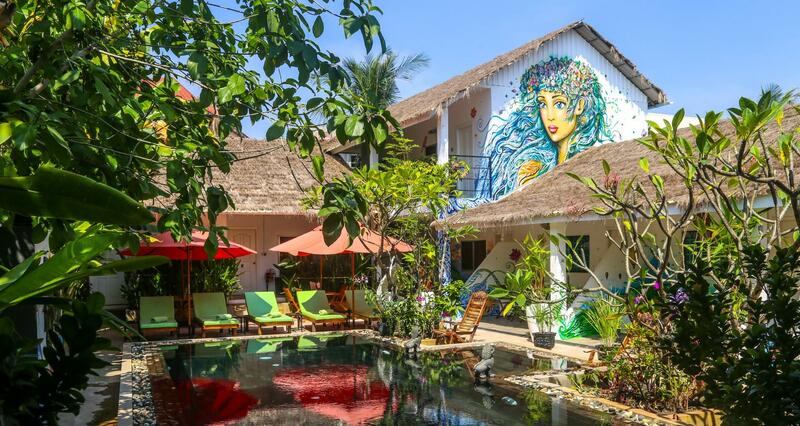 The Experience: Experience the vibrant colours of the Balinese jungle, part way up Mount Batukaru Bali Eco Stay is set amongst 5 acres of gardens, waterfalls, rice paddies and hillside jungle scenery. Each treehouse and bungalow cabin sits within its own secluded private area and has been designed to bring the outside inside with open air walls and stunning views. Drift off to sleep under the twinkling stars and fireflies, learn yoga and meditation and explore jungle walks, temples and traditional crafts during your stay. Why’s it ethical? Almost all of the energy used on the grounds is generated with hydro power systems and all waste is responsibly managed. The owners also reinvest into the local community through financial and practical support for education, preservation of culture and traditional customs and encourage conservation efforts through raising awareness and alternative sustainable eco-tourism employment. The Experience: Birdwatchers take note - with over 500 species of migratory and native birds this is a birdwatchers paradise! 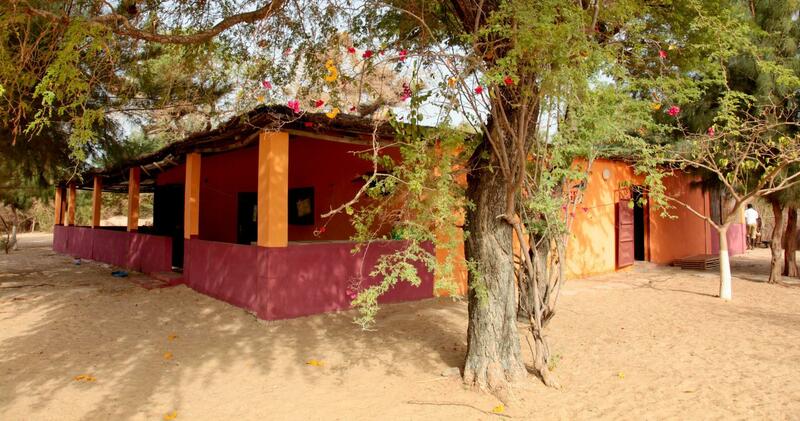 Footsteps in The Gambia offers traditional Gambian Roundhouse accommodation, their curved walls minimise the need for air conditioning and promote deeper relaxation and restful sleep so from your very first night at Footsteps you’ll wake up feeling fully rested and ready to explore. Footsteps in The Gambia offer a huge range of cultural excursions and activities and even give you the opportunity to work with the community during your stay to help empower local people or participate in conservation efforts. The Experience: Based just a stone’s throw away from the awe-inspiring Bandhavgarh National Park & Tiger Reserve you’ll be staying amongst the trees in this eco friendly jungle lodge. With the resident naturalist on hand to help you get more out of your jungle walks, birdwatching and complimentary bike hire you’ll have plenty of opportunity to explore the area and learn more about the wildlife and plantlife. Take a dawn jeep sarafi to get the chance to see tigers in the wild, learn how to cook your own traditional Indian food using solar methods, visit the local village to get an insight into the local culture and spend the nights round the campfire, watching the stars and sharing your days experiences. Your holiday at Bandhavgarh Jungle Lodge promises to be packed full of new experiences, adventure and memories that will last a lifetime. Why’s it ethical? As well as having renewable energy sources and responsible waste management policies to ensure sustainability the lodge also works closely with the local communities to raise environmental awareness and encourge wildlife conservation efforts within the area. The owners of the lodge work on both a national and international level to protect tigers in the wild and habitats throughout India. In addition they also work with charities to set up medical camps nearby. Copyright © Ethical Holiday, 2019. All rights reserved.